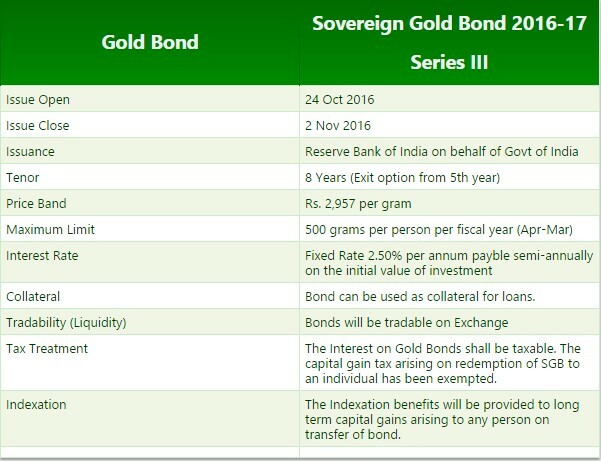 The Government of India launched its Sovereign Gold Bond 2016-17 Series III (SGB) from 24 Oct to 2 Nov 2016. Issue price for the Sovereign Gold Bond for this tranche has been fixed at Rs. 2,957 per gram.